Urban Flower: How Do I Care for Orchids? How Do I Care for Orchids? I received some beautiful flowers today, which is your Mojo arrangement. Could you please advise me on how to care for them, I have never been given orchids before. Your Mojo arrangement contains beautiful fresh vanda orchids, much prized for their colour and their long-lasting nature. Orchids really need a stable indoor temperature, not too hot, and keep them out of direct sunlight. Keep them away from ripening fruit and fireplaces where natural gases can kill the flowers quickly. Make sure they are watered daily and if possible add a sachet of flower food to the water. Vanda orchids which are looking a little wilted can really perk up with a spray of mist water. It refreshes the blooms. 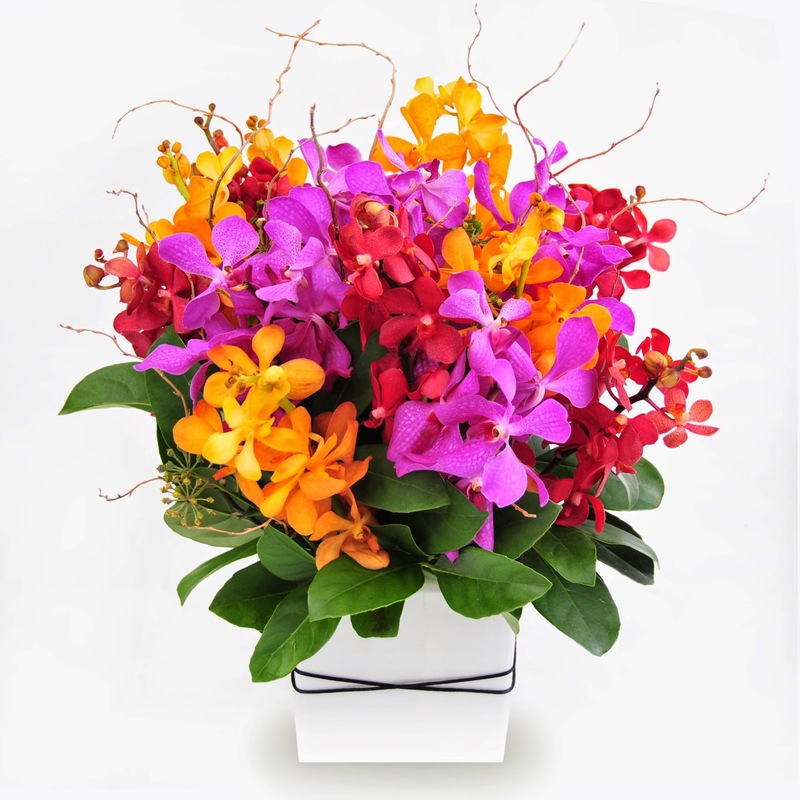 We trust you will enjoy your vibrant vanda orchids, they are a delightful cut flower.